Creating A Beautiful Vintage Card For All Occasions With Arnold Grummers Paper Making"
A Beautiful Vintage Card for all Occasions! 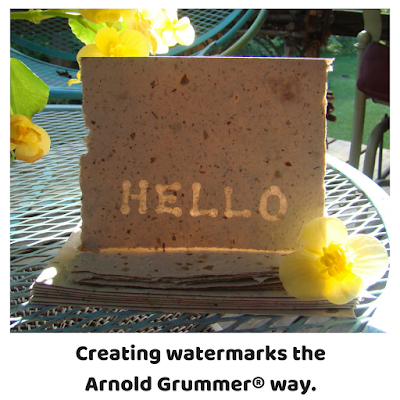 I am so thrilled to be a new member on the Arnold Grummer's Paper Making Design Team!! The awesome supplies they have for beautiful handmade papers and projects is AMAZING!!! 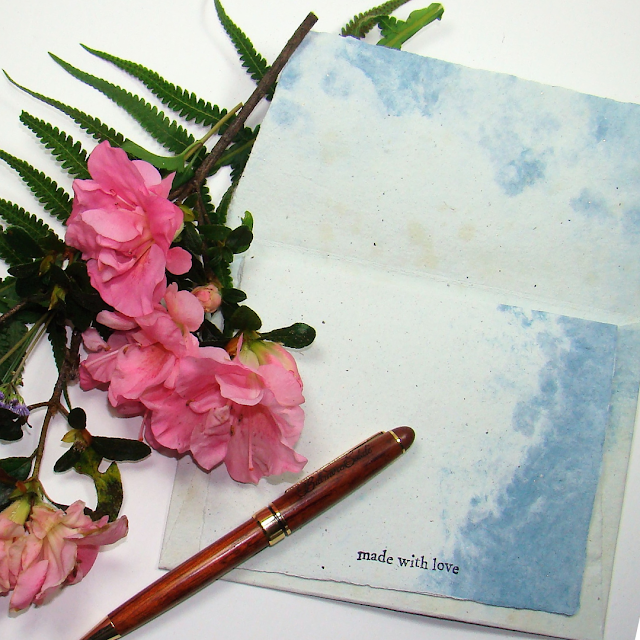 They also have kits to make your own paper and you will be thrilled with how simple it is but yet the final piece looks so elegant ! For this project I decided on creating a Vintage All Occasion card and using a Vintage postcard from my collection. Botanicals from Arnold Grummer's website- I used "Angel Wings" in yellows,oranges and pinks. Glitter from Arnold Grummer's website and I used" Opal Sprinkles"
2) Place your Vintage postcard in the center and secure well with modge podge underneath and on top. 3) Start designing your card around the edges of the postcard with tissue paper and bits of scrapbook paper, making sure all is glued down and sealed well with the modge podge. 4) After laying some of the papers, start to incorporate the "Angel Wing" flowers and smoothing out the modge podge with a small paint brush over the flowers. 5) Next I glued the dried Queen Annes lace here and there to create some texture. 7) The last thing was to apply the pearls in the center of some of the Angel Wing flowers and then a final coat of modge podge!! This was a very easy,fun and creative project and hope you all have a great time making your very own Vintage cards with Arnold Grummer's Paper Making supplies and kits! They are even are offering a special discount code on their website now!! Handmade Album Cover - Plus Giveaway!! Arnold Grummer Projects - New Found Love! !